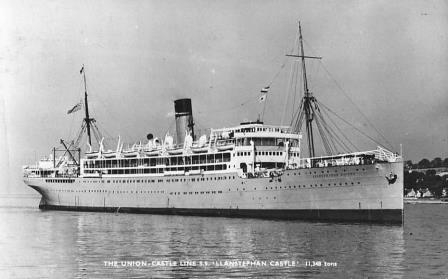 LLANSTEPHAN CASTLE was built in 1914 by Fairfield Shipbuilding and Engineering Co at Glasgow with a tonnage of 11348grt, a length of 500ft 5in, a beam of 63ft 3in and a service speed of 15 knots. Sister of the Llandovery Castle she was given the name because Sir Owen Philipps was Lord of the Manor of Llanstephan. She was built for the Intermediate Round Africa service. 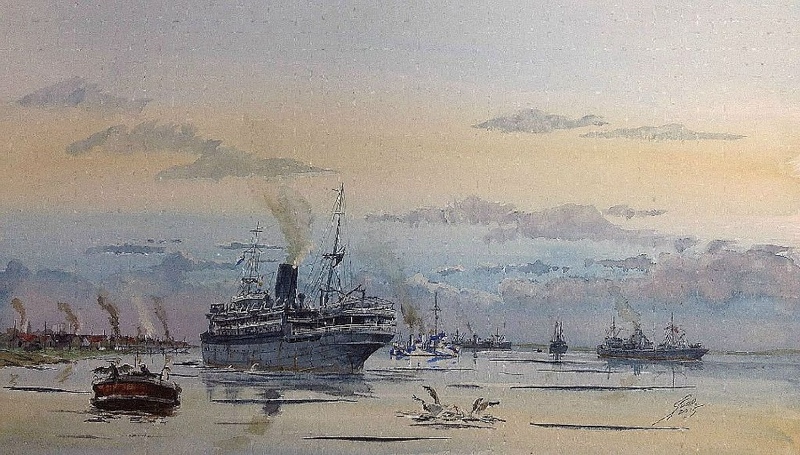 and was, in 1914, the only company ship to remain in commercial service although under government control. In April 1915 inbound at Zanzibar she was ordered back to Durban because the German light cruiser Koenigsberg was operating in the area. 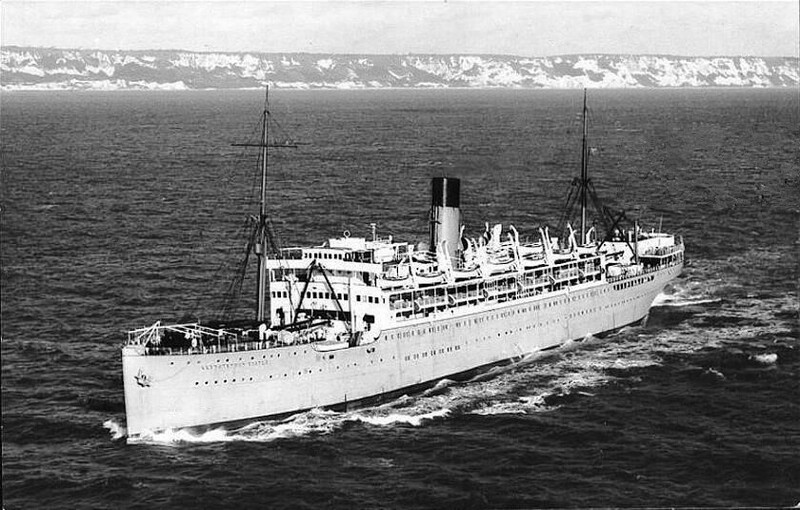 In 1917 she was eventually requisitioned for work on the transatlantic service. Following the end of hostilities in 1918 the Prime Minister of South Africa, General Botha, returned to South Africa on her after signing the Treaty of Versailles. 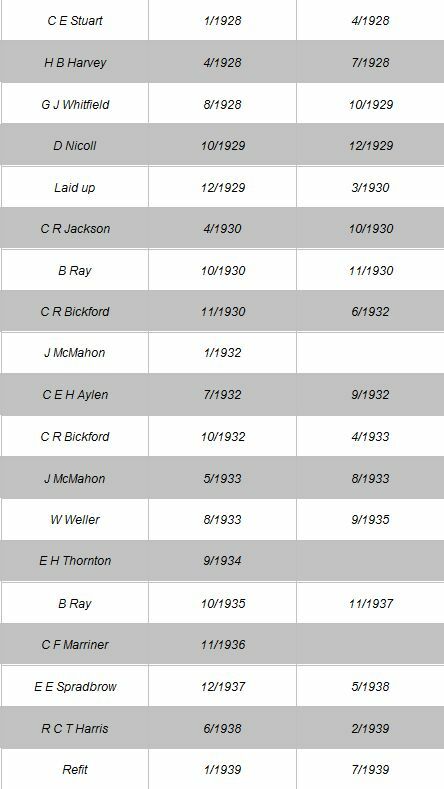 She reverted to the Round Africa service in 1920 and during that year repatriated passengers from the Saxon when she lost her rudder. In August 1940 she evacuated 200 children to South Africa. 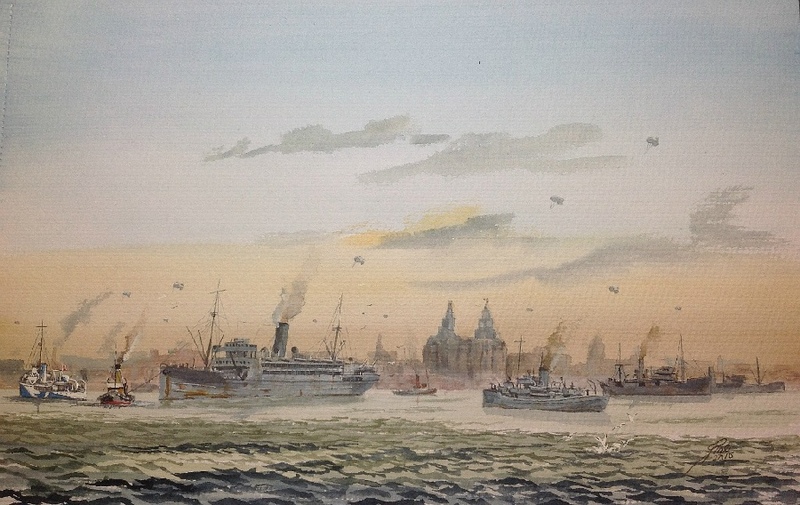 During the Second World War, in 1941, she was commodore ship for the first Allied convoy to Russia from Liverpool to Archangel after Germany's attack on Russia on 22nd June. She was transferred to the Indian Navy in 1944 for troopship work and in 1945 acted as a Landing Ship Infantry (LS(I)) to the East Indies fleet with 18 landing craft manned by Indian Navy personnel. 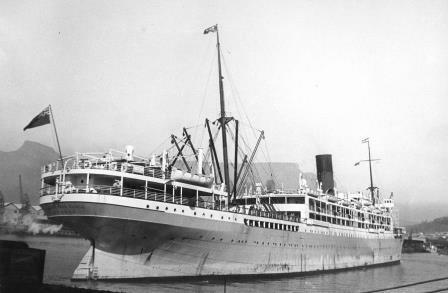 After a refurbishment she resumed commercial operations in 1947 and continued until March 1952 when she was broken up by J. Cashmore at Newport, Monmouthshire for the British Iron & Steel Corporation. Some of you may have seen photos of paintings I posted of Operation Dervish. 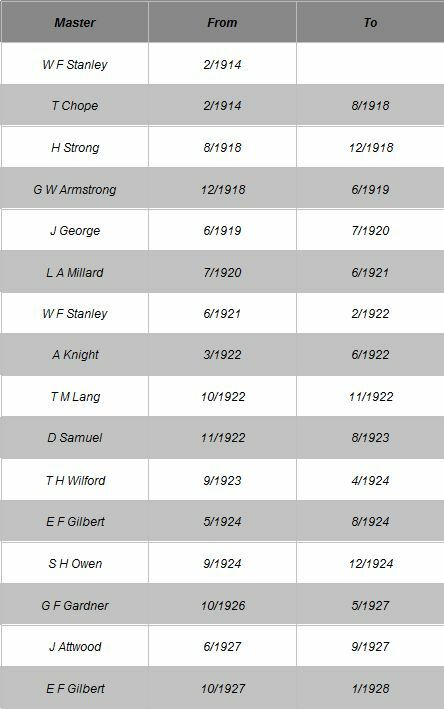 These were connected with events in Archangel commemorating the 75th anniversary next year, of the arrival of the first Convoy (Operation Dervish) in Archangel. 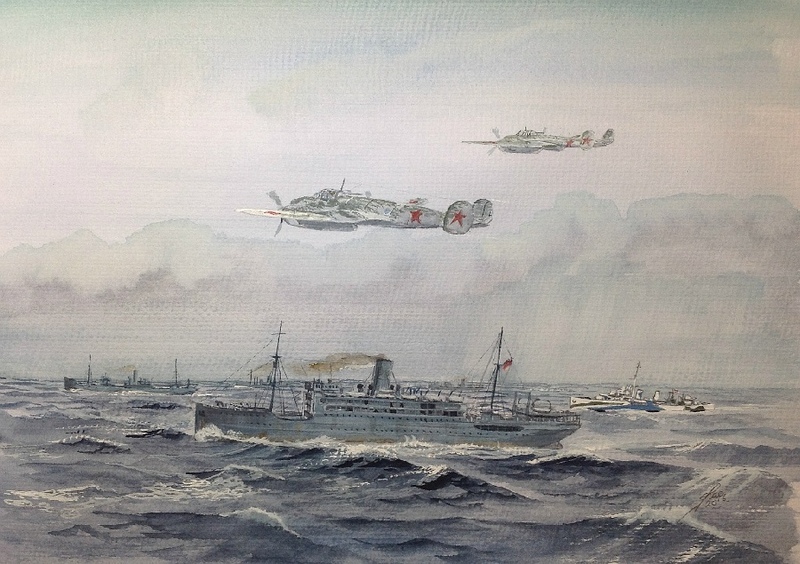 I was asked to do a couple of paintings relating to the event, that might be presented to Russian Officials. I received this photo this morning. 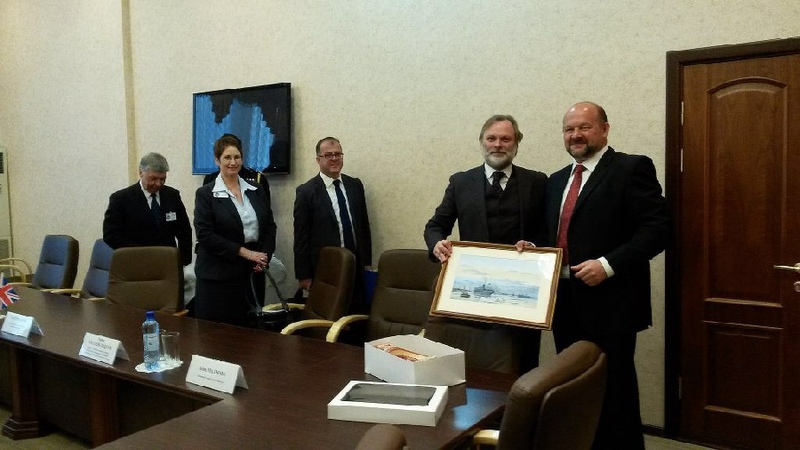 British Ambassador, Sir Tim Barrow, presenting the painting to the Mayor of Arkhangelsk Oblast, Igor Orlov. Operation Dervish was the first of the Arctic Convoys of World War II by which the Western Allies supplied material aid to the Soviet Union in its fight with Nazi Germany. 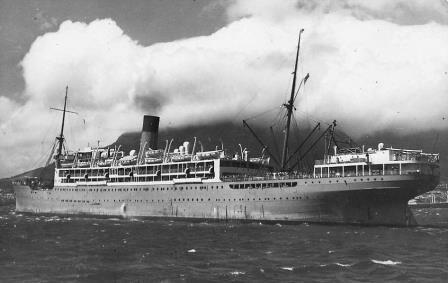 The convoy sailed from Hvalfjörður, Iceland on 21 August 1941 and arrived at Archangelsk on 31 August 1941. 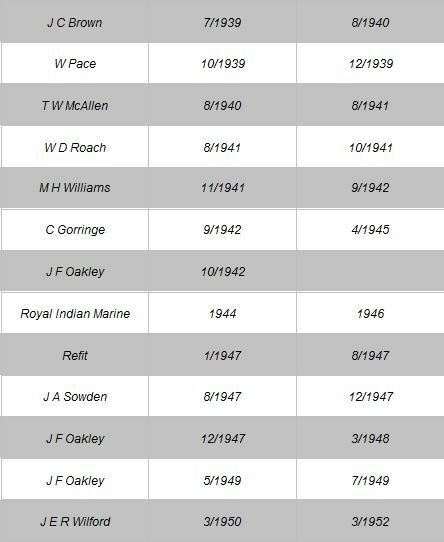 The Convoy Commodore was Captain JCK Dowding RNR. 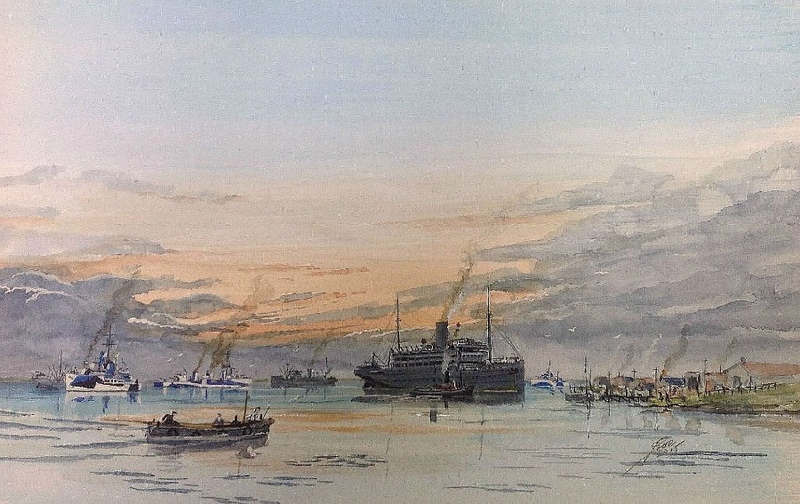 On board Llanstephan Castle were two journalists, Vernon Bartlett and Charlotte Haldane of the Daily Sketch, also the artist, Felix Topolski. 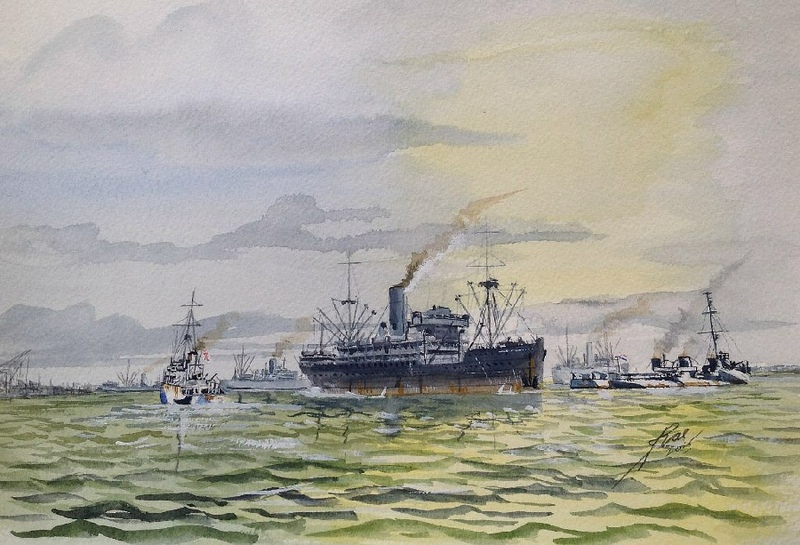 This convoy consisted of six merchant ships loaded with raw materials and 15 crated Hawker Hurricane fighter planes: Lancastrian Prince, New Westminster City, Esneh, Trehata, the elderly Llanstephan Castle, the fleet oiler RFA Aldersdale, and the Dutch freighter Alchiba. The convoy was escorted by the destroyers Electra, Active, and Impulsive; the minesweepers Halcyon, Salamander, and Harrier; and the anti-submarine Shakespearian class trawlers Hamlet, Macbeth, and Ophelia. Distant cover consisted of the heavy cruiser Shropshire and the destroyers Matabele, Punjabi, and Somali. At the same time the old aircraft carrier Argus, a veteran of World War I, delivered 24 Hurricanes of the Royal Air Force's 151 Fighter Wing, which landed at Vaenga (renamed Severomorsk in 1951) airfield, near Murmansk. Largely owing to the scarcity of Luftwaffe aerial reconnaissance forces in the region at the time, all of the ships arrived safely. Here is the other 'Dervish' painting that went to Russia, the one in the presentation photo. Same scene from the other end.